It seems we can get raspberries any time of the year, as long as we’re willing to pay the price and accept the guilt of contributing to the cost of transporting nature’s perfect candy from Mexico or California to Canada. Although we have three canes of raspberries planted in our yard, they won’t be ready until June. So, I often pick up a container at the grocery store and feel better about feeding my kids this expensive treat rather than giving them the cheaper fruit roll-ups or chewy bars that are marketed as “healthy”. 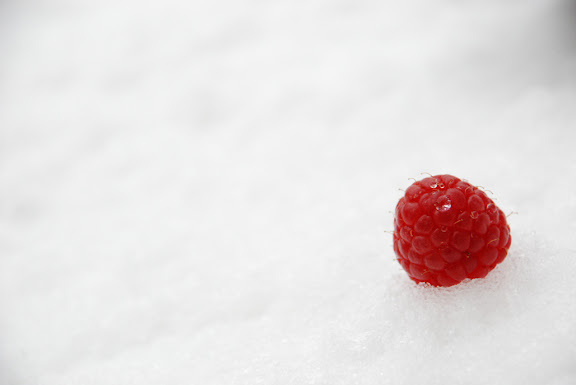 I took this picture of the lonely raspberry in early April just before the last of the snow melted on our deck. 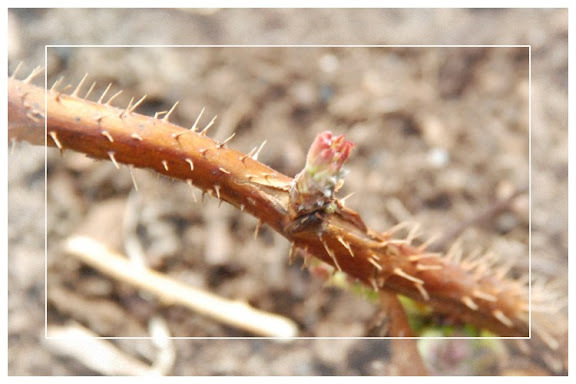 Spring is coming, and our raspberry shoots are starting to bud. Finally, Spring is here.